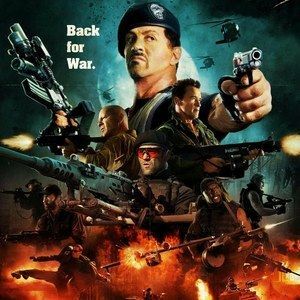 Director Simon West's action sequel The Expendables 2 has officially been given a R rating. Fans of the action franchise were concerned that the film was going for a PG-13 rating, but those concerns have faded away due to the strong violence, language and brief sexuality in the film. We also have a new banner that lines up all of the action stars. Take a look.